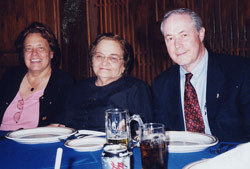 Margarita Gurdian, the Minister of Health, the First Lady of Nicaragua, Lila A. de Bolaños Geyer and Dr. Richard Hirsh. The hospital where the mission was performed. Dr. Richard Hirsh reviewing a mammogram with 2 of the hospital's X-ray technicians. Lecture by Dr. Nick Bisconti, General Surgeon, Barberton Citizens Hospital, Barberton, Ohio. Dr. Richard Hirsh and Dr. Nick Bisconti with surgical and gynecological staff. Dr. Richard Hirsh demonstrates a preoperative wire needle localization procedure. Radiologists Dr. Magdalena Bello and Dr. Alda Cossi from the Lahey Clinic, Boston, MA. 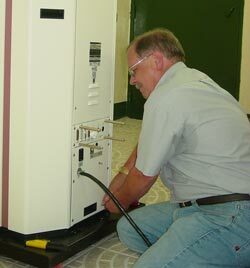 Robert Warner, Green Township, Ohio, installing the mammography machine. 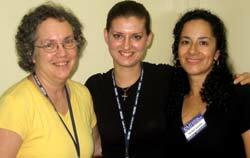 Interpreters : Peg Haas, Liz Scheiner and Maribel Sanchez (below shown with driver). Standard Transportation from the hotel to the hospital, Ministry of Health pick-up truck. Views from our hotel while Hurricane Beta delivers a storm. Farewell party, mammographers Patricia Stewart (left), R.T. and Jennie Little (right), R.T. Returning on a 12-passenger plane. Plume of an active volcano. Reviewing mammograms at Tong Xian Women's and Children's Hospital. Dr. Hirsh reviewing mammograms with radiologist at Beijing Cancer Hospital. Leslie Ewen-Foster, R.T. training Chinese technologists, Jinan Central Hospital. Surgeon Dr. Nick Bisconti reviews mammograms at Jinan Central Hospital. Leslie Ewen-Foster, R.T. teaches how to position the breast. Dr. Richard Hirsh performing a pre-operative wire needle localization procedure. U.S. 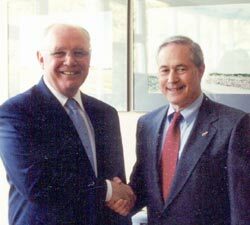 Ambassador James Pardew and Dr. Richard Hirsh. U.S. 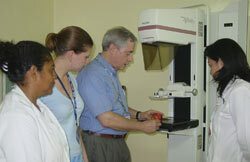 Ambassador James Pardew, Dr. Richard Hirsh and the mammography teaching team. Dr. Alda Cossi from Lahey Clinic, Boston, performing an ultrasound guided breat biopsy. 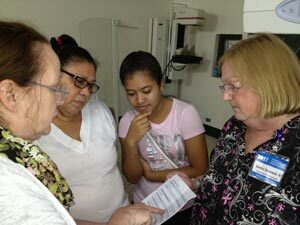 Radiology Mammography International completed a breast imaging training project to Bluefields, Nicaragua this past May. This trip was a follow-up to the recent donation and installation several months ago of a new Hologic M IV mammography machine, which replaced the recipient hospital's donated 12 year old unit, which finally stopped working. In addition to fine tuning the hospital's film processor and calibrating the new mammography machine, this one week project provided advanced individual hands-on training in breast imaging to the hospital's female X-ray technologists and radiologists. Our training included breast positioning for screening and diagnostic mammograms, enhanced film interpretation skills, preoperative needle localizations, and ultrasound guided biopsy procedures. And daily academic lectures in the fields of Breast Cancer and Breast Imaging were presented to the general medical staff and to medical students. This mission was the fourth training visit to Bluefields over a twelve year period. This clinical site on the Caribbean coast of Nicaragua represents one of the most successful, enduring, and sustainable missions in RMI's twenty six years of teaching experience in developing countries. For this, we recognize the dedication, persistence, and passion demonstrated by the hospital administrators, radiologists and general medical and nursing staff. 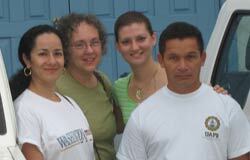 Members of our volunteer team of professionals were from the United States, Canada, and El Salvador. Several of us had taught in Bluefields on prior missions. The team included diagnostic radiologists Gale Sisney, M.D., Jean Seely, M.D., and Richard Hirsh, M.D., mammography technologists Linda Corrion, R.T., Janice Guntner, R.T., and Sandra Hanawalt, R.T., engineer John Stanley, and interpreters Emily Loeffler, Andrea Molina, and Jacob Youst. Once again, as in all of RMI's mission projects, we welcomed this opportunity to share our experience, our expertise and our passion to help save lives and to make a difference for the underserved. Mammographers Sandra Hanawalt, left, Linda Corrion, center, and Janice Guntner, right, with the Bluefields Hospital's technologists. 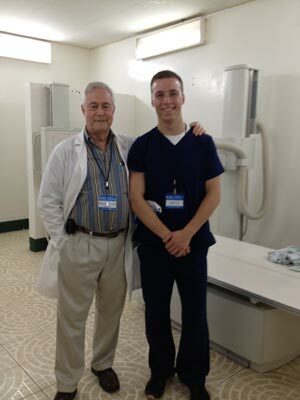 Dr. Richard Hirsh and interpreter, Jake Youst. Dr. Jean Seely and Dra. Magdalena Bello, head radiologist, performing breast ultrasound. Linda Corrion R.T.RM reviewing Quality Control with the head technologist. Dr. Gale Sisney (left) and mammography technologist, Sandra Hanawalt (right) discussing positioning protocol with hospital technologists. 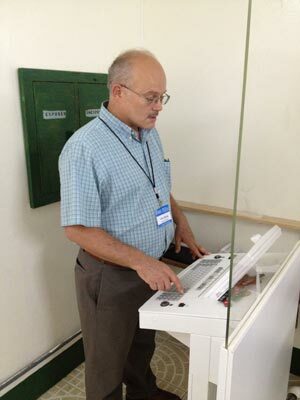 John Stanley, engineer, calibrating the new donated mammography machine at Bluefields Hospital. 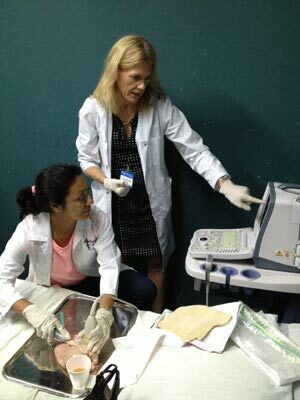 Dr. Jean Seely teaching Ultrasound guided breast biopsy technique using a turkey breast. Bluefields, Nicaragua, May 2016. 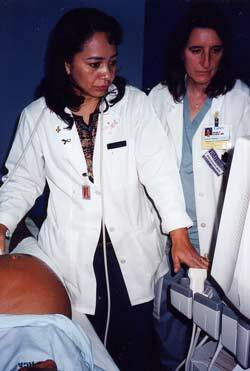 Dr. Gale Sisney, left, and Janice Guntner, R.T.RM right, positioning a patient. Interpreter Jake Youst speaking to patients waiting for their mammograms. 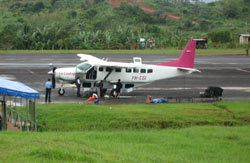 Our ride from Bluefields, Nicaragua airport to hotel. May 2016. Placing the needle using an apple. Dr. Jean Seely with interpreter Andrea Molina and mammographer Linda Corrion, discussing Preoperative Needle Localization procedure, training with an apple. 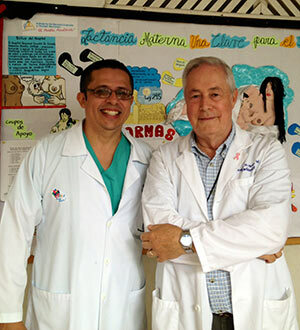 Dr. Richard Hirsh (right) with Bluefields surgeon Dr. Ulysses CiFuentes. From April 18 - 25, 2015, Radiology Mammography International completed another breast cancer training project, this time to the city of Cali, Colombia. We were invited by and partnered with a Baltimore based humanitarian organization called Partners for Cancer Care and Prevention. 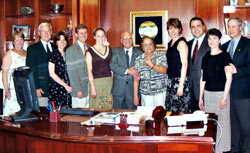 This organization was founded by Dr. Armando Sardi, a cancer surgeon who was born and raised in Cali. After earning his medical degree there, he came to the United States for his surgical residency and subspecialty training in Surgical Oncology. During this project, our volunteer teaching team provided hands on training and consultation at three clinical sites, all of whom had recently upgraded their mammography equipment to full field digital. 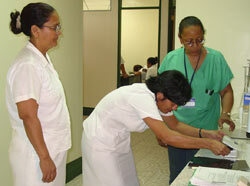 The three local institutions were: Hospital Universitario del Valle, Hospital Canaveralejo, and (IPS) La Rivera. Our three mammography technologists, Linda Corrion, Tracey Erb, and Sandra Hanawalt, observed and instructed in the mammography suites during the regularly scheduled imaging of patients. Radiologists Dr. Gale Sisney and Dr. Richard Hirsh did image and case review with radiology faculty and residents. Formal lectures were presented by Dr. Sisney. Our interpreters were Rebecca Woodward and Emily Loeffler. Our team field service engineer was Michael Lynde. Kent State University nursing student, Lauren Lynde, assisted in patient throughput in one of the local breast clinics. All elements of this project were expertly organized and coordinated by Mavalynne Orozco, the representative officer of Partners for Cancer Care and Prevention, to whom we are most grateful. Our humanitarian experience was extremely fulfilling. 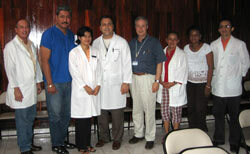 We were warmly welcomed by the Colombian medical personnel and patients with whom we interacted. This was certainly another memorable adventure for our volunteer medical team. 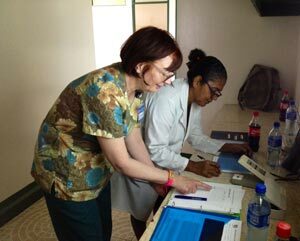 Radiology Mammography International (RMI) completed its most recent Mammography Teaching Project to Guatemala from August 17 - 31, 2013. 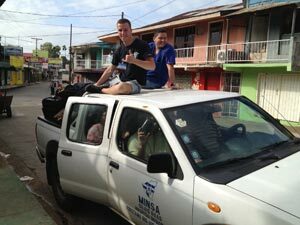 We partnered with a non profit organization based in Baltimore, Maryland, called The Healing Hands Foundation, who has been organizing medical/dental missions to Guatemala for many years. A site assessment evaluation visit to the region was performed in December 2012 for the purpose of selecting qualified appropriate clinical sites to receive donated mammography equipment and training. This mission project included two donated factory refurbished Hologic M IV mammography machines, which were installed at two clinical sites, one at Hospital Roosevelt in Guatemala City and the other at the Women's Breast and Cervical/Uterine Cancer Screening Center in the Municipality of Villa Nueva, a suburb of Guatemala City. Donated mammography cassettes and accessories, quality control test instruments, and biopsy needles and hook wires were provided to all of the clinical sites. RMI's volunteer team provided personalized hands on training to female X-ray technologists and diagnostic radiologists in the proper use of this new equipment. Also, a third clinical site, Hospital San Juan de Dios, which already had relatively modern mammography equipment and a radiology residency program, received enhanced breast imaging training in mammography and breast ultrasound. In addition, a major emphasis of this Guatemala project included an extensive Women's Health Education Program, which provided community outreach to the general lay public including high schools students, as well as focused lectures to health care professionals. Educational hand out literature was available during the various presentations. Our remarkable and caring volunteer team of professionals, most of whom had served on prior RMI projects, included six mammography technologists, three diagnostic radiologists, a field service engineer, and two women's health educators. Our volunteer mammography technologists included Linda Corrion, Tracey Erb, Janice Guntner, Sandra Hanawalt, Jennie Little, and Wendy Marshall. Our three radiologists included Dr. Bonna Rogers-Neufeld, Dr. Gale Sisney, and Dr. Richard Hirsh. Our engineer was Michael Lynde. And our women's health educators were Kathy Mueller and Terri Bogan. Our in country organizer and Healing Hands Foundation representative was Ingrid Kretzschmar, without whose tremendous efforts and dedication and persistence, this mission would not have taken place. Our non profit organization reaches out to breast imaging equipment manufacturers for donations and technical support during the initial phases of each mission project. Hologic in Danbury, Connecticut, remains our greatest supporter for our many projects to underserved regions around the world. And as part of Hologic's wonderful donation for this mission to Guatemala, their regional dealer, Medimax-RSI, based in Puerto Rico, generously provided engineers to do the installation and calibration of the two donated mammography machines at no cost/charge to the recipient clinical sites. This collective generosity and devotion to serving the developing world truly reflects the nature of so many individuals who worked together to bring this wonderful humanitarian team effort to fruition. Radiology Mammography International recently completed a Breast Cancer Conference at the National Cancer Institute in Hanoi. This conference took place at the same hospital where RMI provided a mammography teaching project in 2000 and a follow up mission in 2002. During the 2000 project we provided donated mammography machines and hands on training of technologists and radiologists to hospitals in Hanoi as well as in Ho Chi Minh City (formally Saigon). Our conference provided formal lectures in multiple disciplines involved in the diagnosis and treatment of breast cancer. These included diagnostic radiology, general surgery, plastic (reconstructive) surgery, radiation therapy/oncology, medical oncology, and palliative care. In addition we did case reviews and patient consultations as part of our teaching efforts. Our teaching faculty, all of whom were volunteers, included: Nick Bisconti, M.D., surgeon, Nick Papas, M.D., plastic surgeon, Steven Radwany, M.D., palliative care, Sandra Hazra, M.D., medical oncologist, Mitchel Fromm, M.D., radiation therapist, Alda Cossi, M.D., Helen Shi, M.D., and Richard Hirsh, M.D., diagnostic radiologists. Overall, the conference was a wonderful success. Much useful and applicable information was provided. And the number and quality of the questions from the Vietnamese reflected their involvement and caring. From August 28 – September 11, 2010, Radiology Mammography International organized a Mammography Teaching Project to Kosova. This project provided two donated Hologic M IV mammography machines plus Maxant mammography viewers and X-rite quality control instruments and Kodak mammography film and cassettes for two recipient hospitals in Prishtina and in Peja. Hands on training was provided to female X-ray technologists and to radiologists at both clinical sites. This donated equipment replaced older mammography machines. This project was coordinated by breast surgeon, Dr. Elvis Ahmedi, who worked diligently with local officials and doctors in both cities as well as Dr. Bujar Bukoshi, the Minister of Health of Kosova. Our teaching team included radiologists and mammography technologists plus a surgeon and a palliative care physician. Our team also included two women's health educators who travelled around the country giving talks to women's groups and to primary care physicians about breast cancer and other topics of women's health. Several hundred mammograms were performed, and at least six suspicious lesions were identified resulting in surgical procedures. The volunteer medical team included: radiologists Dr. Richard Hirsh, Dr. Karen Lindfors, and Dr. Cheryl Schwalm, surgeon Dr. Dean Mayors, palliative care physician Dr. Robert Taylor, mammography technologists Tracey Erb, R.T., Jennie Little, R.T., Trudy Crabtree, R.T., and Sandra Hanawalt, R.T., Carolyn Keegan, R.T., and Lesley Ewen-Foster, R.T., engineer Mike Lynde, and women's health educators Kathy Mueller, R.N. and Kathy Pardew, and administrative assistant Hilary Taylor. I consider this project a strong success in that it established good breast imaging techniques and provided widespread community outreach throughout the country. It is my expectation that RMI will return to Kosova in about one year to do a follow up mission to bring the trained radiology staff up to a new level of expertise building upon their experience. training program as, "Train the Trainers" or "Teach the Teachers". This two week project offered didactic lectures and hands on mammography training first with models and then with patients. Individual instruction and guidance was provided to about twelve Jordanian mammography technologists. For the approximate ten radiologists there were daily film reviews and ultrasound guided breast biopsy training. In addition, our volunteer team field engineer visited multiple mammography sites at several nearby hospitals critiquing the mammography equipment with the assistance of Jordanian engineers and radiation physicists. The volunteer team members included radiologists Dr. Richard Hirsh, Dr. The project goals were accomplished: Advanced hands on training was provided to Jordanian mammography technologists and diagnostic radiologists. It is our hope to return to Jordan to provide follow up training in breast imaging. From October 10 – 24, 2009, Radiology Mammography International coordinated the second Mammography Teaching Project to Macedonia. This project was a follow up to the 2007 Mission to the General Hospital in Strumica. The 2007 mission brought a new donated Hologic/Lorad M IV mammography machine plus quality control instruments and mammography x-ray film and cassettes. Training was provided to female X-ray technologists and to diagnostic radiologists. This recent project focused on observation at the original site and providing more advanced training for those same technologists and radiologists. RMI also had two additional teams, one offering focused training in breast imaging at the Radiology Institute in Skopje, and the other, a “mobile” team, which traveled around the country providing consultation in improving mammography service/quality at many regional hospitals. All sites visited were by invitation from the individual local hospital radiologists and administrators. Community Outreach/Education was taken to multiple cities around the country. This project was coordinated by the Boris Trajkovski International Foundation in Skopje. At the primary site in Strumica, the overall quality of the mammograms was excellent. Not only were they performing outstanding images (including proper film techniques and breast positioning), but they were also actively training technologists and radiologists from other hospitals. Our former pupils had now become the “new” teachers. Remember that, “If you give a man a fish, he eats for a day. But if you teach a man how to fish, he eats for a lifetime”. The volunteer medical team included: radiologists Dr. Richard Hirsh, Dr. Nancy Wadden, Dr. Karen Lindfors, and Dr. Cheryl Schwalm, mammography technologists Linda Corrion, R.T., Jennie Little, R.T., Tracey Erb, R.T., and Josephine Raimondi, R.T., engineer John Stanley, and women’s health educators Kathy Mueller and Kathy Pardew. I consider this follow up project a definite success in that it reinforced good breast imaging techniques. But more importantly this mission observed the establishment of a local independent site now providing quality training in breast imaging. From May 2 - 17, 2009 Radiology Mammography International conducted a mammography teaching project to the Kenyatta National Hospital in Nairobi, Kenya. This project included the donation of a Hologic/Lorad M IV mammography machine. This quality equipment was installed by Vertec Scientific SA out of South Africa, who is a regional representative of Hologic. Vertec generously provided this service as a donation. The Kenyatta National Hospital is a major teaching hospital which has a radiology residency training program. The timing of this donation followed and replaced the hospital's prior very old mammography machine, which just one month before our arrival had stopped functioning "for the last time". The new mammography machine was installed and calibrated. During the next two weeks we trained four of the hospital's female X-ray technologists in the proper use of this new equipment. Our training also included Quality Control techniques. Appropriate QC test instruments were also donated for this purpose. The RMI volunteer team included three diagnostic radiologists, one surgeon, four mammography technologists, one engineer, and two women's health educators. Close to one hundred mammograms were performed. Training in ultrasound guided biopsy procedures was provided to the hospital's radiologists. 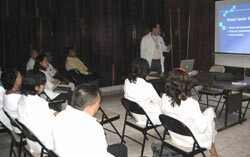 We provided numerous lectures to the radiology and surgery staff focusing on breast disease. Our surgeon participated in numerous surgical operations as part of our teaching/training process. Women's Health talks focusing on breast disease were provided in remote villages and outlying towns and cities during the two week mission. The team members included, Dr. Richard Hirsh, Dr. Alda Cossi, and Dr. Heather MacNaughton, radiologists, Dr. Nick Bisconti, surgeon, Jacquie Barber, Janice Guntner, Linda Lindeman, and Anita Lee, mammography technologists, John Gallagher, engineer, and Kathy Mueller and Flo Higgins, women's health educators. The mission goals were successfully completed: Quality donated equipment was installed and the radiology and surgery staff were trained. Women's health education focusing on breast disease was provided. The Kenyatta National Hospital's radiologists will keep me advised as to the ongoing use of this new equipment including the numbers of newly diagnosed cases of breast cancer. It is my hope to return in about two years to do a follow up Mammography Teaching Mission to Kenya. Radiology Mammography International recently completed a successful teaching project to the Regional Hospital Santiago in Jinotepe, Nicaragua, about a one hour and twenty minute drive south from Managua. mammography including preoperative wire needle localizations as well as ultrasound guided breast biopsy techniques. The local staff was extremely focused on learning these new modalities. Our volunteer medical team included three radiologists; Dr. Bonna Rogers-Neufeld, Dr. Cheryl Schwalm, and Dr. Richard Hirsh. Our three mammographers were Janice Guntner, Linda Corrion, and Maria Fabrega. The teams Spanish language interpreters were Maribel Sanchez, Kelly Washbourne, Camelly Cruz Martes, Chris Mellinger, and Betsy Pierce. Our two engineers who did the installation and calibration of the mammography machine were Gary Harris and John Stanley. Several of these wonderful volunteers have served on previous missions. For some, it was their first project with RMI. The seed has been planted and watered. The tools have been provided and the basic training has been completed. The spirit of the project has been passed to our Nicaraguan colleagues. We will plan on a follow up visit in about two years to evaluate their progress and to add new techniques to their skills. We all consider this mission to represent the focus of our commitment to serve and to make a difference. 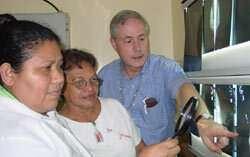 From March 1 – 16, 2008, Radiology Mammography International coordinated the third Mammography Teaching Project to Bluefields, Nicaragua. This project was a follow up to the 2005 and 2007 Missions to the Regional Hospital in the Southern Autonomous Region on the Caribbean Coast of Nicaragua. The 2005 mission brought a new donated Affinity Model Hologic/Lorad mammography machine and a Hologic/Aloka ultrasound machine plus quality control instruments and mammography x-ray film. 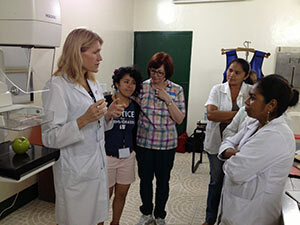 Training was provided to female X-ray technologists and to diagnostic radiologist, Dr. Magdalena Bello. This recent project was preceded by a two month regional breast cancer screening of over 600 women, compared to last year’s mission which included 400 screening mammograms. This was an enormous accomplishment, considering that practically all the women had to travel great distances for many hours by open boat to the city of Bluefields. There are no roads on the Caribbean coast. The volunteer medical team consisted of two diagnostic radiologists, one surgeon, three radiological technologists, one field service engineer, and four interpreters. In addition to interpreting hundreds of mammograms and diagnostic breast ultrasounds, we performed numerous ultrasound guided biopsies and open surgical biopsies. All of these procedures were performed with our Nicaraguan colleagues, thus strengthening the hands on teaching approach employed during all of RMI’s missions. The team members included: Dr. Richard Hirsh and Dr. Michael Linver, radiologists, Dr. Nick Bisconti, surgeon, Linda Lindeman, Janice Guntner and Lesley Ewen Foster, mammography technologists, Robert Warner, engineer, and Peg Haas, Rebecca Woodward, Andrea Loomis and Coert Ambrosino, interpreters. I consider this follow up project a definite success as it reinforced good breast imaging technique and surgical skills with our Nicaraguan radiological and surgical colleagues. But mostly this mission has stimulated an ongoing commitment from the hospital and from the Ministry of Health to offer breast cancer mammography screening for all the women of the region. General Hospital of Strumica. Two radiologists and four female X-ray technologists were trained in the use of this equipment and in mammographic interpretation. Also included in the equipment donations were Maxant mammography viewers and X-rite quality assurance test instruments, as well as Cook needle localization hook wires. Kodak Europe donated a start up supply of mammography film and twelve new cassettes. And the local Kodak dealer donated a new film processor dedicated to mammography. The city of Strumica donated a new ultrasound machine dedicated to breast imaging. (a recent medical school graduate from Skopje). aspiration techniques were taught. Ultrasound core biopsies were performed by Dr. Wadden on one patient with bilateral breast masses. This was the first know use of ultrasound for biopsies in Macedonia. We also performed the first wire needle localization for suspicious non palpable microcalcifications. Our mission included an extensive Community Outreach Program for public awareness about breast cancer and other women's health topics. This program was organized by the Boris Trajkovski International Foundation. More than 850 women were addressed and lectured to during our two week mission. Kathleen Mueller and Kathy Pardew presented these in depth talks which always included questions and answers. lesions detected and then biopsied. We hope to return to Macedonia within two years to observe and to offer additional more advanced levels of training. RMI completed a successful teaching project to Belgrade, Serbia with the guidance and assistance of The Princess Katherine Foundation. A factory refurbished Hologic/ Lorad M IV mammography machine was donated and shipped to Belgrade prior to the mission. The recipient hospital was the University Medical Center Bezanijska Kosa. Two radiologists and three female X-ray technologists were trained in the use of this equipment and in mammography interpretation. Also included in the equipment donation were Maxant mammography viewers and X-rite quality assurance test instruments as well as needle localization hook wires and core biopsy devices from Cook and a start up supply of mammography film and 12 new mammography cassettes from Kodak. Our volunteer American mammography technologists included Linda Corrion and Janice Guntner and Rita Cox. Our engineer was Robert Warner. The Princess Katherine Foundation was instrumental in the organization of the entire mission including the Community Outreach Program to many community organizations in and away from Belgrade. We found this to be an integral part of our mission. And this was extremely popular with the Serbian groups who were addressed on a variety of women's health topics, not just breast cancer. Kathy Mueller and Kathy Pardew organized and presented these talks. Ultrasound breast imaging including guided biopsies was taught by team radiologist Dr. Heather MacNaughton from Vancouver, British Columbia, Canada. Two patients received ultrasound guided core biopsies with hands on participation by the Serbian radiologist, Dr. Magdalena Stefanovic. These were the first procedures of this type performed in Serbia. We also performed the first wire needle localization procedure for a cluster of suspicious non palpable micro calcifications seen on a screening mammogram done during our first week in country. Our best friends and strongest supporters during the entire mission were His Royal Highness Prince Alexander and Princess Katherine. We met with them several times during the project at the hospital and at their residence. Follow up will be in the form of e-mail communications and will address total numbers of mammograms performed and subsequent suspicious non palpable lesions detected and then biopsied. It is our hope to return to Belgrade within two years to observe the level of skills that our trainees will have attained. Follow up mission to Bluefields. 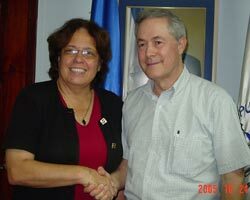 In October 2005, Radiology Mammography International organized a successful teaching project to the town of Bluefields, Nicaragua on the Caribbean coast. A donated Hologic/Lorad mammography machine and an Hologic/Aloka ultrasound machine were donated and installed. Also donated were Maxant mammography view boxes and X-rite quality assurance test equipment. AGFA mammography cassettes and a start up supply of X-ray film was donated as well. The radiology staff of the Regional Ministry of Health Hospital was trained in the skilled use of this equipment. This 2007 follow up two week mission focused on breast cancer screening and an in-depth Breast Clinic. The volunteer team included two radiologists, one surgeon, two mammography technologists, one engineer, and four interpreters. The screening program was initiated by the hospital with full support from the Ministry of Health. Over a period of approximately two months prior to our arrival in country, all of the towns and villages of the region (over 150,000 population with 80% indigenous peoples) were invited to participate in the screening program. 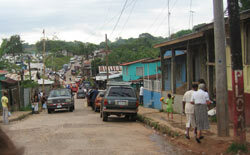 Many hundreds of women traveled great distances and at great inconvenience to Bluefields for their screening mammogram. There are no roads along the Caribbean coast. Therefore, the principal means of travel for these women was by boat, averaging five hours one way. One patient told me that she had to ride horseback for over four hours from her village down to the sea in order to then take a seven hour boat ride to Bluefields. There were many similar stories of personal hardship, each one touching us deeply. 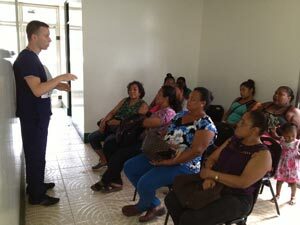 The Breast Clinic was supervised by volunteer surgeon, Dr. Nick Bisconti, from Akron, Ohio. Many of our screening patients seen during the first week were subsequently examined during the second week by the surgical team which also included two of the hospital's surgical staff. Mammography and ultrasound breast imaging was provided. Volunteer radiologist, Dr. Alda Cossi, from Boston, along with the hospital's radiologist, performed many ultrasound guided breast biopsies and aspirations. In addition, we performed four preoperative wire needle localizations. A total of eight open surgical biopsies were performed. 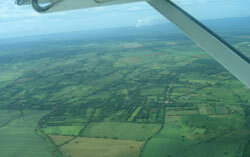 All biopsy specimens were flown by commercial flights to Managua with results being faxed back to us within two days. 2008 and hopefully in the years beyond. On October 14 and 15, 2006, RMI conducted an international Multidisciplinary Breast Cancer Conference in cooperation with The Peking University. The conference took place at the Tianlun Dynasty Hotel in Beijing, China. Over three hundred Chinese doctors attended the conference. Following the two day conference, several of the volunteer physicians visited and consulted at two area hospitals, First Teaching Hospital of Peking University and Tong Xian Women and Children Hospital. Several days later on October 19th six of our group presented a Breast Cancer Symposium in Shanghai at the Ruijin Hospital, School of Medicine of Shanghai Jiao Tong University. The overall purpose of this conference was to share current information about breast cancer and to demonstrate to our Chinese colleagues the multidisciplinary approach to cancer diagnosis and treatment that is utilized in the West. Typically in China, breast cancer is treated almost entirely by the surgeon, including the administration of chemotherapy. We wanted to show how the western approach to breast cancer, in our experience, favorably impacted the overall outcome for our patients. We specifically emphasized the importance and effectiveness of communication and discussion between the different medical and surgical disciplines. Eleven American and Canadian physicians and surgeons participated in this conference. Each volunteered their time and were responsible for their own travel and hotel expenses. The list included Dr. Nick Bisconti, surgeon, Dr. Bonna Rogers-Neufeld, radiologist, Dr. Steve Parker, radiologist, Dr. Nathalie Duchesne, radiologist, Dr. Sandra Hazra, medical oncologist, Dr. Joyce McCaffrey, medical oncologist, Dr. Dean Mayors, surgeon, Dr. Mitchel Fromm, radiation therapist, Dr. Nick Papas, plastic surgeon, Dr. Helen Shi, radiologist, and Dr. Richard Hirsh, radiologist. Chinese doctors shared the speaker's podium giving lectures in Chinese and in English. Dual screens projected all of our lectures in both languages simultaneously. 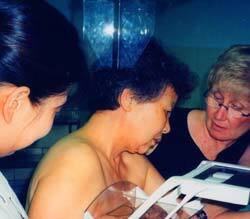 RMI has been to China many times, most recently conducting a follow up Mammography Teaching Project in August 2004. 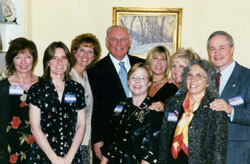 Previous visits included Dr. Richard Hirsh's initial site evaluation assessment trip in 1999, followed by the Mammography Mission in September 2001, which included the donation of two mammography machines along with extensive medical and technical staff training and community outreach women's health education. Our being invited back to China to conduct this 2006 Breast Cancer Conference was a natural continuation of our mutual friendship and respect. Much of the inspiration for this conference has been from Dr. Xu Yuxiu, Professor of Surgery at Peking University. This Peking University and Radiology Mammography International collaborative was the first international Chinese conference focusing on Breast Cancer. Previous international RMI breast cancer conferences include Havana, Cuba in 2003 and Managua, Nicaragua in 2004. 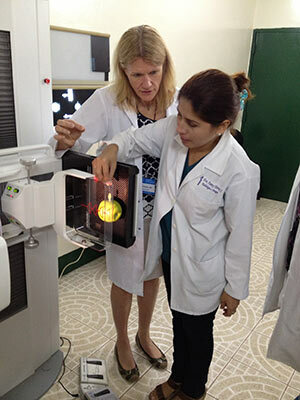 Radiology Mammography International completed a successful mammography teaching project to Bluefields, Nicaragua. 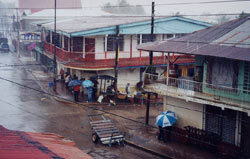 Bluefields, which is located on the Caribbean coast of Nicaragua in the Southern Autonomous Zone, is separated from the main population on the Pacific coast by mountains and jungles/forests. 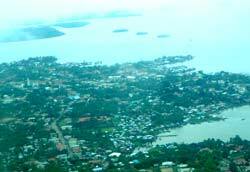 This region, with a population of almost 200,000, is served by one Ministry of Health hospital. Close to 90% are indigenous peoples. Until the completion of our mission, there was no mammography at all. RMI brought new donated equipment including a Hologic Lorad mammography machine and a Hologic ultrasound machine. Other donated equipment included test instruments from X-Rite and Fluke Biomedical. Maxant donated mammography film view boxes and Cook, Inc. donated hook wire localization needles. Kodak provided a start up supply of mammography film along with cassettes. We also brought with us Spanish language patient information pamphlets on breast cancer and mammography and breast self examination (BSE). 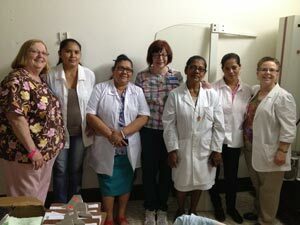 Our volunteer teaching/training team included mammography X-ray technologists, radiologists, a surgeon, an engineer (to install and calibrate the equipment), and Spanish speaking interpreters. 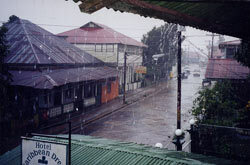 From the time of our arrival to our last day in Bluefields we provided extensive in depth training in the Department of Radiology in all aspects of mammography including quality assurance, film processor maintenance, breast positioning, needle localization procedure, and film interpretation. Our ultrasound machine donation allowed us to not only enhance their breast imaging capabilities, but also offered to the patients all of the basic ultrasound system evaluations which include abdomen, obstetrics and gynecology, small parts like breast and thyroid, and musculo-skeletal. None of our many missions has been "ordinary". This one was no exception. We "almost" encountered Hurricane Beta which hovered just off the coast of Nicaragua about one hundred miles east of Bluefields. Had it become necessary, our team had prepared to evacuate our hotel, which was about 300 yards from the bay, to the greater safety of the hospital just a mile inland and on higher ground. But fortunately, this action was not required, as the storm moved north and diminished in intensity. Our last evening was celebrated by a farewell dinner in Managua hosted by Nicaraguan First Lady Lila Bolanos and also attended by the Minister of Health, Margarita Gurdian. They both expressed their sincere gratitude for the donation of the equipment and to our volunteer teaching team for truly making a difference in the lives of the women of this region. 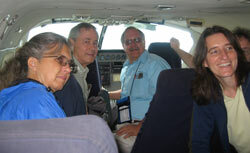 This was RMI's fourth mammography mission to Nicaragua. 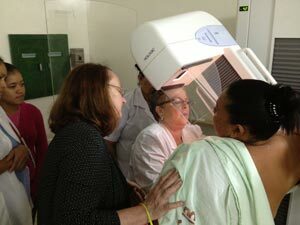 Radiology Mammography International completed a successful mammography teaching mission to Nepal. This mission provided a brand new donated Lorad mammography machine for the Tribhuvan University Teaching Hospital in Kathmandu. This equipment was installed and calibrated and training was provided by the team’s mammography technologists and engineer. Approximately four days were spent in Kathmandu. In addition to the training on the mammography equipment, there was also in-depth ultrasound training provided by the second team radiologist, Dr. Alda Cossi, from the Lehay Clinic in Boston, MA. This included ultrasound guided biopsy and aspiration techniques. Towards the end of the first week, members of the teaching team provided lectures at a breast cancer workshop which took place on the campus of the University Teaching Hospital. This workshop was well attended by over 100 physicians and surgeons from all over the country of Nepal. On the weekend at the mid portion of the mission, the team flew to the Chitwan Region for the purpose of providing instruction on the mammography machine at the BP Memorial Cancer Hospital. This hospital was built approximately 9 years ago and was supplied at that time with a General Electric mammography machine. Our team members were able to obtain donated accessories including compression paddles and needle localization paddles for this machine in order to upgrade the overall level and quality of service for the patients of this region. The preoperative wire needle localization procedure was taught using an apple for demonstration purposes. Our team spent some time discussing the purpose and effectiveness of screening mammography both at the BP Memorial Cancer Hospital as well as at the Tribhuvan University Teaching Hospital. Up until our mission, the Cancer Hospital had not performed any basic screening mammography. However, after our discussion with the director of the hospital as well as the head of the radiology department it was agreed upon that they would start providing this type of service. Their first patients would be female staff employees of the hospital as well as wives of male employees and medical staff. Since our return, I have been contacted by the head mammography technologist at the BP Memorial Cancer Hospital who informed me that the hospital has now started the screening mammography service. They are performing approximately 10 mammograms per day and at the University Teaching Hospital, they are performing over 20 per day. This 2005 Nepal mammography project is a follow up to my original project from 1994 at which time we delivered a new donated Lorad mammography machine to the University Teaching Hospital in Kathmandu. This follow up represents an extraordinary experience in that it has allowed us to renew old friendships and has also demonstrated the high level of enthusiasm and expertise and commitment that the Nepali radiologists have shown. Over the past 11 years the Tribhuvan University Teaching Hospital has performed an average of 1,000 mammograms per year. Generous donations for this mission from American companies included Lorad/Hologic (new mammogram machine), General Electric (mammographic accessories), X-rite (quality assurance test instruments), Nuclear Associates/Cardinal Health (breast phantoms), Cook (localization needles), and Kodak (mammography film and cassettes). During a ten day period RMI conducted a follow up mammography project to Beijing, China three years after the teaching mission from September 2001. The original two hospitals who received new donated Lorad mammography machines were revisited; First Hospital of Beijing University and Tong Xian Women’s and Children’s Hospital. Much to our delight but not to our surprise, both radiology departments were producing wonderful quality mammograms. The equipment remained in good working order. In three years First Hospital had performed over 3,000 mammograms with over 120 cancers detected. Tong Xian Hospital has performed over 2,400 mammograms with over 90 cancers detected and 18 needle localizations performed for microcalcifications in occult cancers. Three members of our team, surgeon Nick Bisconti, technologist Lesley Ewen-Foster, and radiologist Richard Hirsh, did a two day visits to Jinan, population 5.9 million, the Capital of Shandong Province. We consulted and lectured at Jinan Central Hospital which is affiliated with the University medical School. We lectured to over 200 doctors, surgeons, nurses and technologists on specific topics related to breast cancer and mammography. These lectures included questions and answers. We observed their new Italian manufactured mammography machine and their computed radiography (CR) processing system. Both required significant critiquing. Mammography technologist Lesley Ewen-Foster provided some basic hands on training in breast positioning. As in all of RMI’s missions, Community Outreach was an integral part of the teaching. Several women’s health topics were presented to a variety of women’s organizations and medical and nursing students and faculties as well as a group of cancer survivors. Some of these topics included breast health, osteoporosis, cardiac health and sexually transmitted diseases. They also offered a special presentation, “Compassionate Care When Giving the Patient Breast Cancer Diagnosis”. Kathy Mueller, RN, a professional women’s health educator, was the outreach team leader. Kathy also served during RMI’s recent May 2004 Mission to Bulgaria. We were invited to lecture and consult at several other Beijing area hospitals. This and our primary hospital observations kept us quite busy during our visit. I congratulate our volunteer hospital team of four technologists, one surgeon and two radiologists, as well as our three volunteer health educators. This was a very successful mission. The Chinese with whom we worked demonstrated an excellent grasp of mammography. It is our hope that our former trainees will become the future trainers in China in this important field in women’s health. 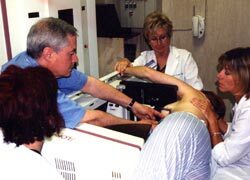 During the last two weeks of May 2004, Radiology Mammography International conducted a mammography teaching project to Bulgaria. Two new donated LORAD mammography machines were installed at two hospitals in Sofia: The National Onocological Centre Hospital and The University Hospital of Obstetrics and Gynecology, “Maichin Dom”. The radiology staffs were then trained in basic mammography techniques including breast positioning for screening and for diagnostic problem solving and quality assurance for proper automatic film processor functioning. The procedure, preoperative wire needle localization, for occult non-palpable breast lesions was also taught. Formal lectures were given about mammography and ultrasound in the diagnosis of breast disease. This mission originated early in 2003 with the formal invitation from the Minister of Health of Bulgaria, Slavcho Bogoev, to visit and to observe multiple sites where mammography was being performed. This visit for engineer Gary Harris and for me was very revealing. We visited nine hospitals/clinics in four days. Some of the equipment was modern generation and some was antiquated. All of these machines were currently in use performing mammograms. It was our goal to determine where we thought that a future mammography mission would most likely be successful and sustainable. The two hospitals, Oncology and OB/GYN, were very good choices. During the actual mission the training was provided by six volunteer American mammography technologists and two radiologists. We rotated between the two hospitals. We also did several one day observations to several area hospitals in Sofia and in Plovidiv for the purpose of providing focused instruction and suggestions for improvement where needed. The second element of this mission was community outreach to women’s organizations and to community leaders around the country. This outreach program was arranged with great effort by Kathy Pardew, wife of U.S. Ambassador James Pardew. Mrs. Pardew’s incredible energy and enthusiasm made all the right things happen. The outreach team consisted of a professional women’s health educator, Kathy Mueller, and three wives of member of the U.S. House of Representatives. The three are Betty Ann Tanner, TN; Stephene Moore, KS; and Lynn Hefley, CO (she is a breast cancer survivor). Their presentations included a variety of women’s health subjects including breast cancer, osteoporosis, menopause, nutrition, cardiac awareness, HIV, and sexually transmitted diseases. The mission was strenuous especially for the outreach team with all their travels to outlying communities. The results of the mission were excellent: train radiology professionals in mammography and create and reinforce general public awareness about women’s health issues. Contact will be maintained with key people at the hospital and in the Ministry of Health to evaluate their progress. A follow up mission will be planned in about two years. 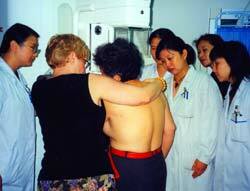 From May 19-31, 2002 RMI conducted a mammography teaching project to Hanoi, Vietnam. 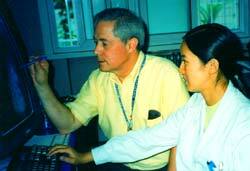 This visit represented a two-year interval follow-up to the April 2000 Mission, during which a donated mammography machine, other equipment, and supplies were installed at the National Cancer Institute in Hanoi. Similar installations were performed at Cho Ray Hospital in Ho Chi Minh City (formerly Saigon). 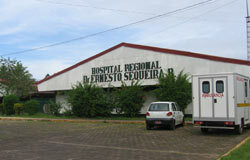 The volunteer team of ten was divided into Hospital and community Outreach. The Hospital team of five included one radiologist, one general surgeon, and three mammography technologists. The radiology specialists concentrated their efforts in the mammography suite, while the surgeon, Dr. Marjie L. Persons, from Case Western Reserve University Hospitals in Cleveland, Ohio, taught in the OR, in the breast clinic and in the conference room. The Community Outreach team of five included a Vietnamese American nurse, Thutam Te Le, RN; Jennifer Hirsh, MD; Mary Lucas, wife of U.S. Rep. Ken Lucas of Kentucky; Sandie Knollenberg, wife of U.S. Rep. Joe Knollenberg of Michigan; and Sylvia Sabo, breast cancer survivor and wife of U.S. Rep. Martin Sabo of Minnesota. “The mission was very successful,” states Dr. Hirsh. “The donated Lorad mammography machine from April 2000 was functioning very well”. He was very pleased to see that the trainees from the 2000 mission were performing with a high degree of expertise. “Not only was their individual work of very high quality, but they were also training technologists and radiologists from other area hospitals on this machine at the National Cancer Institute,” said Dr. Hirsh. The community Outreach team worked diligently, not only with their prepared comments about breast cancer, but also in answering a host of questions for the audiences. They also performed clinical breast examinations and even referred several patients to the National Cancer Hospital for mammograms. 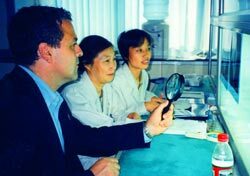 From September 10 through September 28, 2001, Radiology Mammography International conducted a mammography teaching project to Beijing, China. During this mission RMI installed two new donated Lorad mammography machines and All Pro film processors at two hospitals—First Hospital of Beijing University and Tong Xian Women’s and Children’s Hospital. Test equipment from X-Rite and Nuclear Associates was also donated, along with preoperative localization needles provided by Cook. 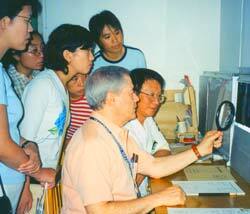 Training was provided to female Chinese X-Ray technologists and to diagnostic radiologists at the two hospitals. Throughout the mission formal lectures on mammography and breast cancer were given to medical, surgical and radiological staff, and to medical students. Translators were provided by the hospitals. Question and answer sessions followed each lecture. In addition, team members visited and evaluated mammography systems at other Beijing hospitals in order to suggest and demonstrate improved techniques. The volunteer medical/academic team consisted of two diagnostic radiologist, six radiological technologists, one ultrasound technologist/educator and one field service engineer. Another very significant component of this mission was Community Outreach, which enhanced the awareness of the general public about the importance of early detection of breast cancer. The Community Volunteer team consisted of two women’s health educators, Dr. Katha Rossain and Dr. Ron Razzore; Barbara Johnson, breast cancer survivor, and the wife of U.S. 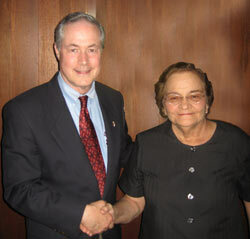 Senator Tim Johnson of South Dakota, and Mary Lucas, wife of U.S. Congressman Ken Lucas of Kentucky and medical student, Jennifer Hirsh. They addressed Chinese women’s groups and organizations, including employees at the U.S. Embassy. They were invited for discussions at the Foreign Ministry and at the Ministry of Public Health. The goal of the Community Outreach team was to educate about breast cancer, early detection through breast self examination, breast clinical examinations and mammography. They addressed approximately 500 women, taught breast self examination, and performed close to 200 clinical breast examinations, including post mastectomy patients. 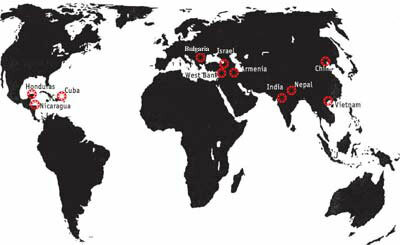 The RMI team had just arrived in a country half way around the world, prepared to give of themselves for the benefits of strangers, when the tragic events of September 11th occurred. RMI’s Mammography/Teaching Project to China originated from a curious source, Akron’s own West Side Leader! On October 17, 1998 Dr. Richard Hirsh received the following correspondence from Professor Xu Yu Xiu, M.D., at the First Hospital of Beijing University. I know you from the article, carried on West Side Leader, September 4, 1997, which was provided by one of my friends, and I am very interesting (sic) with your work that help Third World Nations combat breast cancer. Firstly, let me make a brief introduction of myself. 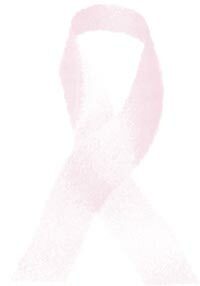 I am a surgeon and also a patient with breast cancer. I have been working in the surgery department of 1st Hospital of Beijing Medical University since I graduated in 1964. I had breast cancer in 1985 and since then my working interests have been diverted from “Gastrointestine” to “Breast Cancer”. Secondly, I wish to spend my vocation on screening breast cancer in Beijing with your help, because mammography equipment has not been used in screening in Beijing yet.